Home Articles Why hire a wedding caterer? Why hire a wedding caterer? Marriage is one of the most exciting events in anyone’s life for the couple as well as their near and dear ones. Planning and hosting a wedding may be quite overwhelming- shopping, preparing guests list, gifts, invitations, food, venue, decoration and the list of things to be taken care of goes on and on. At such time, it can be very relieving to have a helping hand. This is where, wedding caterers come into existence. They help you organize your event. All you have to do is to choose one of the many options they provide with and then sit back and relax. A group of individuals, with experience and expertise in catering, are usually handed over the wedding catering department. No stress: Like discussed, hosting a huge crowd is not an easy task. 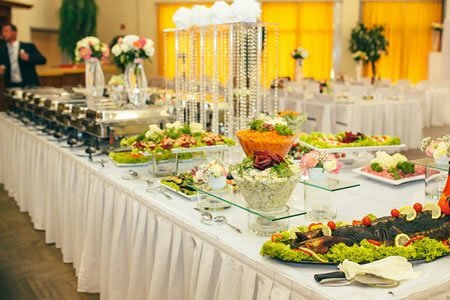 Taking care of the quantity of food to cook, gathering the required ingredients, utensils, setting up a place to prepare food and then once food is cooked, taking care of serving and then cleaning the premises cannot be managed by the wedding party in the midst of all the other events. Outsourcing the job by choosing wedding catering can guarantee both peace of mind and quality of food. A minute saved is a minute earned: Accomplishing a big job requires a lot of time too. All the time saved from outsourcing the job to wedding caterers can be put to use in other important tasks. Unlimited options: Deciding on the menu can be a tough task as it needs to cater to a large number of people. Choosing a menu filled with a variety of dishes can serve the purpose of satiating everyone’s taste buds. Wedding caterers help you with that and a few also let you customize your menu. Picture perfect presentation: Besides making food delicious, wedding caterers also make sure that it looks appealing to the eyes. A well-presented dish attracts the crowd and gives a professional touch to it. 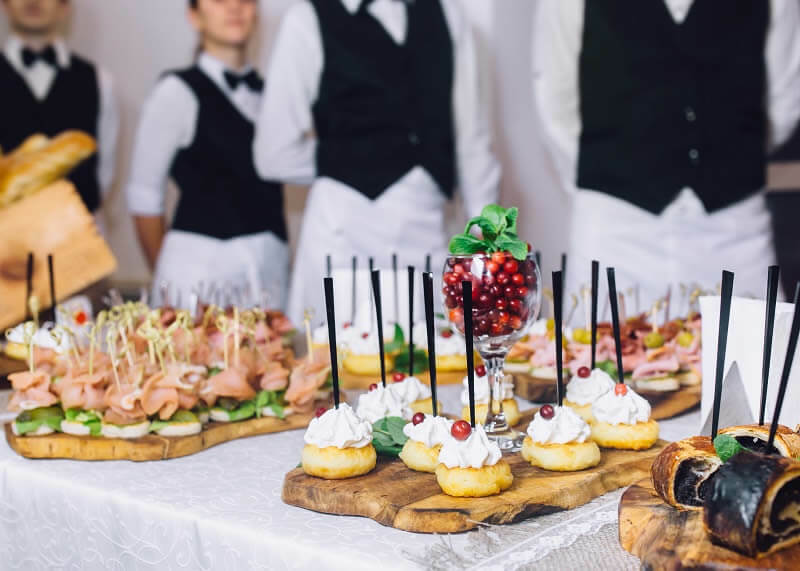 Leaves a mark: In order to make sure that the event makes a lasting impression, perfection in every fine detail is required and wedding catering makes it possible. Detailed list of services offered such as welcome drink serving, tableside water etc. Getting the details of services not included is equally important as getting the details of services included. That way you can figure out on what aspects you need to pay attention on. Depending upon the quality of ingredients used, price may vary. If you are specific about the choice of ingredients, it is better to sort things out beforehand. Get to know about the experience details of the wedding catering party. In case they need to deal with any uncalled event, they should know what to do. For event as important and big as a wedding, there cannot be any room for compromise. Choosing wedding catering ensures that there is no room for compromises.